This beautiful two counters vintage chronograph is equipped with a Japanese Myota quartz movement. The design is inspired by the chronographs from the 50's with tachymeter scale, telemeter, hand applied indices and double domed mineral glass. 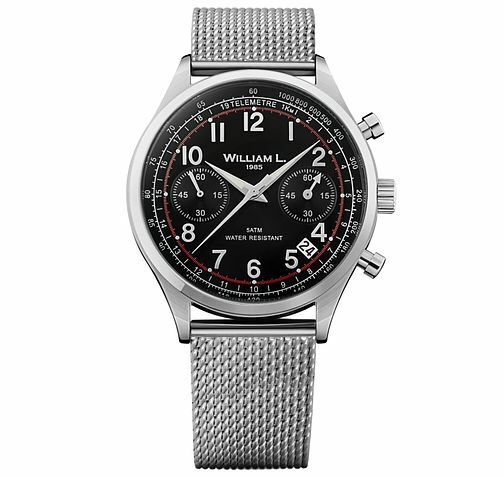 Crafted in stainless steel with a bold black dial, and stainless steel mesh bracelet.